There have been many stories about what defense stands as the best in the history of the NFL. This series intends to trump them all. 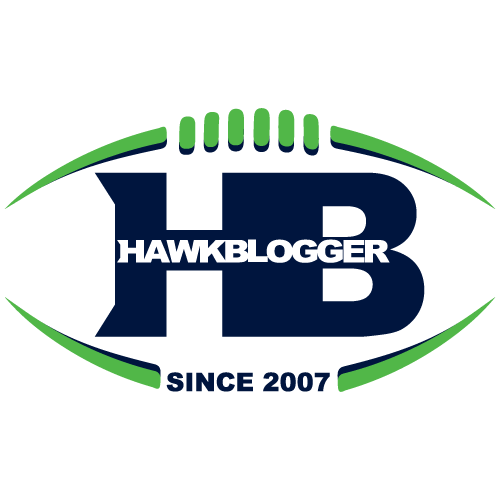 The 2013 Seattle Seahawks defense belongs in the conversation for all-time great defenses, but it is unclear exactly how they compare to the legendary 2000 Ravens, 1985 Bears, the vaunted Pittsburgh Steel Curtain and others. One-by-one, I will examine the 2013 Seahawks versus titans of years gone. We will look at numbers that compare apples-to-apples as best as we can across generations and rule changes. It is not clear where the Seahawks stand as we begin. The goal is to be objective and to enjoy the battle. Next up, Warren Sapp and the 2002 Tampa Bay Bucs. No player comparisons: Generalities about players are irrelevant because they are just opinion. Number of Pro Bowlers or Hall of Famers often reflects popular opinion more that actual talent. Should someone want to quantify the quality of each player at each position and aggregate the total talent, I would love to read it. Until then, we will look at the whole team performance. Relative > Absolute: A team that holds opponents to 11.4 points per game (ppg) sounds better than a team that holds opponents to 14.2 ppg. But when the average offense scored 15 ppg in the year of the first team and the average offense scored 27 ppg in the year of the second team, the judgment should shift. We will heavily slant toward how the team performed in the era/year in which they played. This will also help to account for rule changes. Quality of opponent matters: A team that has the best opponent scoring average in the league, and does it during a year when scoring is way up sounds dominant. But what if they played in the 2005 NFC West? Who you play, and how you perform against those opponents needs to be taken into account. Strength of offense: A defense that has to make up for a horrible offense gets extra credit. We will compare the offenses these defenses played with at a high level. Championships: It should not be the ultimate arbiter, but it does have to be factored in. A defense that ends the year as a champion deserves credit for the ultimate accomplishment, and one that fails in that game deserves additional scrutiny. Analysis versus facts: I will give my opinion at the end of each article about which defense was superior and why. You may come to a different conclusion. The facts should not be disputable. My interpretation of them is open to debate. A neck-and-neck start to this battle between the Bucs and the Seahawks. Not only are they nearly identical in terms of the number of standard deviations they are below the norm, but the actual standard deviation in offensive yardage that year was nearly identical (38.4 in 2013 vs 38.6 in 2002). That means that the spread of yardage was the same across the league, and both teams performed identically well in terms of how they measured up against other defenses in the season they played. Looking at gross yards allowed gives an overview, but it is important to look at yards surrendered per play. A defense that is on the field longer because their offense cannot move the ball will face more plays and more total yards allowed. They should not be penalized for it. Even as we zoom into yards per play, the teams are inseparable. They exit this round with a split decision. Tampa pulls ahead here, both with a better absolute performance that is 2.2 ppg stingier than the Seahawks, and relative performance that was a bigger standout compared to their peers that year. The Seahawks are hurt here by a larger spread of scoring in their season, which led to a larger standard deviation number for them to overcome. What that means is the difference between the best and the worst scoring teams in 2013 was greater than the best and worst in 2002, so to truly stand out from the pack, a 2013 defense needed to be even farther away from league average. Again, though, let’s look at this on a per play basis. The Bucs advantage holds, and cements their win in this round. Seeing exactly who each team played, and how the defenses performed against that specific competition will be particularly important in this battle. Up to this point, we have been comparing the two defenses performance against league averages. But neither the Seahawks nor the Bucs played every opposing offense in the league. We need to get specific about which offenses they played, and how they did relative to the averages of those offenses. The Bucs 16 regular season opponents scored an average of 21.9 points per game, above the league average (21.7). Seattle faced opponents who averaged slightly below the league average (23.4). Tampa faced relatively stiffer competition in terms of offenses they faced, and stood out a bit more against those offenses. Let’s step away from the regular season for a moment though and just see how both teams did against the best offenses in the league that year. The best versus the best. Tampa faced a remarkable number of top-flight offenses in 2002. Nearly 53% of their 19 games were against offenses in the top ten in the league. They held those teams to a combined 16.4 points per game. That was well above their season average of 12.2. Seattle, on the other hand, dropped their points against to just 10 ppg against the three top offenses they faced, including the top scoring team in NFL history in the biggest game. They stepped up their game considerably against these great offenses, and the team was 3-0 in those games. The Bucs, on the other hand, gave up 17+ points in seven of those 10 games against top competition, and lost four of them to finish just one game above .500 (6-4) in those games. The Bucs gave up 37 points over three playoff games, beating Jeff Garcia, Donovan McNabb and Rich Gannon. Seattle gave up 40 points, beating Drew Brees, Colin Kaepernick and Peyton Manning. My inclination was to go in the Bucs direction when I saw how many top offenses they played, but their performance against that competition raised questions about whether they were feasting on the weaklings to post their gaudy overall numbers. Seattle raised their level of play against the best. Tampa did not, so Seattle wins this round. Seattle finished the season ranked #1 in points allowed, yards allowed and takeaways, the first team to do that since the 1985 Bears. The Bucs were third in the league in takeaways in 2002, and were far behind Seattle in relative terms. Seattle wins this round easily. Let’s take a look at just how much help or harm the other side of the ball did to these defenses. Admittedly, I will not go is deep here or else this would turn into an equally long assessment of each offense. Instead, we will stick to some absolute numbers and get some relative information via league rankings. Jon Gruden’s offense was bad. They were solidly below league average, and were definitely worse than the Trent Dilfer-led 2000 Ravens offense that gets so much grief. That offense was essentially a league-average unit. The Bucs were closer to a bottom-third team. They at least did not turn the ball over much, but did little else to help their defense. Seattle had a better offense, hands down. This makes me go back to check the previous rounds as the disparity is big enough to give the Bucs a bump. They win this round. This was was really too close to call. Calling it a tie would be boring and cowardly, so I end up siding with the Seahawks largely due to the troubling Bucs performances against top offenses. Seattle had a strong edge in takeaways as well, which is a good indicator of a group that is dominating their competition and forcing mistakes. Tampa’s best argument is the poor offense they had to prop up, but when I look at those games against the top offenses, the defense was giving up lots of points even when the offense was scoring decent numbers. For example, the Bucs lost twice to the Saints by scores of 26-20 and 23-20. Seattle also had a more impressive playoff run, and capped it with a dominant performance against the best offense in NFL history and possibly the best quarterback in NFL history. The Bucs gave up 21 points to Rich Gannon and the Raiders. Seattle edges the Bucs in this one. Keep an eye out for round four of the Battle of the Best when the Seahawks will take on the 1969 Minnesota Vikings.